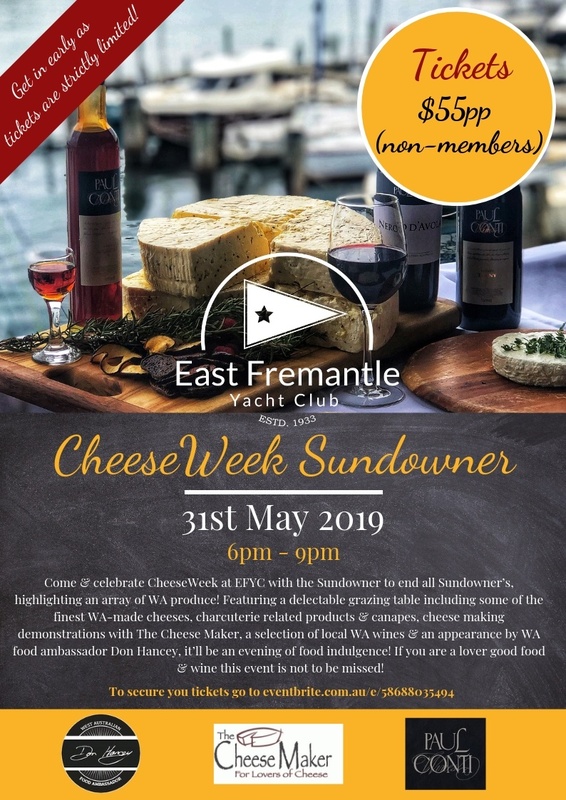 On Friday the 31st May East Fremantle Yacht Club join in the WA Cheese Week celebrations with the Sundowner to end all Sundowner’s from 6 – 9pm, highlighting an array of amazing WA produce! Featuring a delectable grazing table including the some of the finest WA-made artisanal cheeses, charcuterie related products and canapes, cheese making demonstrations with The Cheese Maker, a selection of local WA wines available for tasting and an appearance by WA food ambassador Don Hancey, it’ll be an evening of food indulgence. So, if you are a lover good food and wine this event is not to be missed!